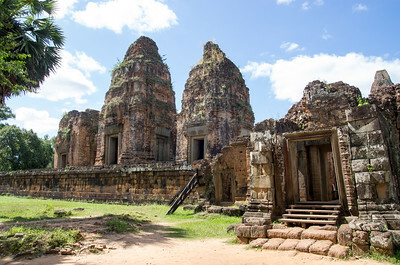 Pre Rup is a temple at Angkor built by Rajendravarman II, is about 1km south of the Eastern Mebon. 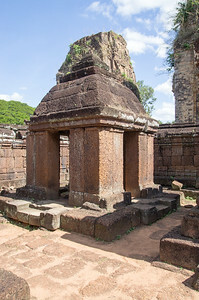 Like its nearby predecessor, the temple consists of a pyramid-shaped temple-mountain with the uppermost of the three tiers carrying five lotus towers. 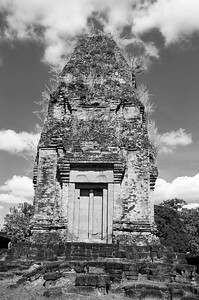 An entrance and exit the monument from the east entrance. 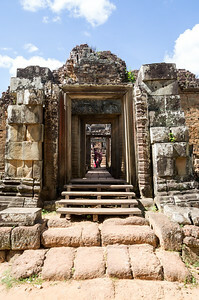 To climb to the upper terrace use the east stairway; it is slightly less steep than the others. 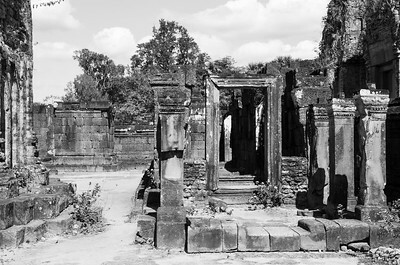 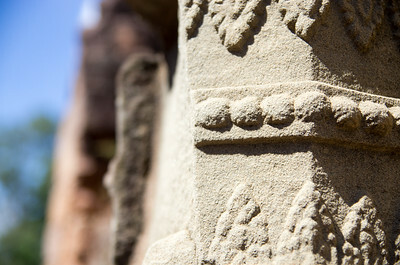 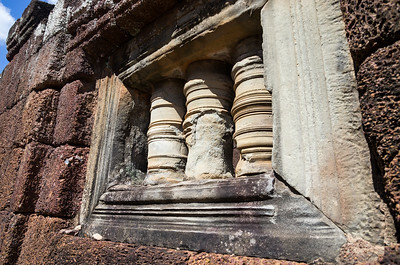 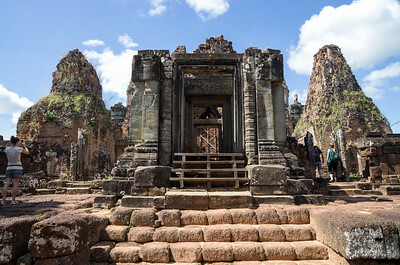 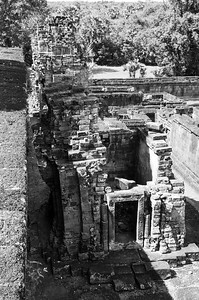 Pre Rup means ‘Turning the Body’ and refers to a traditional method of cremation in which a corpse’s outline is traced in the cinders, first in one direction and then in the other; this suggests that the temple may have served as an early royal crematorium. 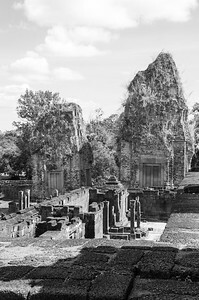 Pre Rup is one of the most popular sunset spots around Angkor, as the view over the surrounding rice fields of the Eastern Baray was beautiful, although some lofty trees have rather obscured it these days. 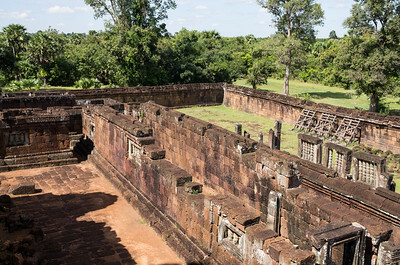 It also gets pretty crowded.